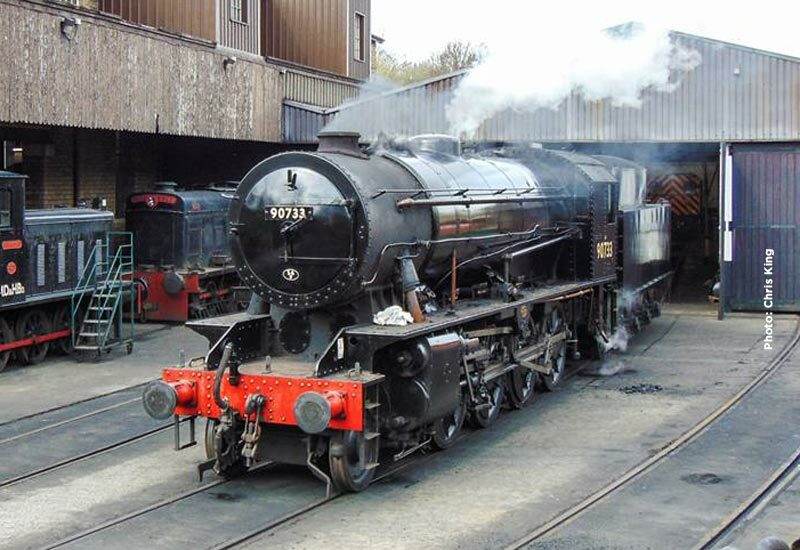 In February we reported on the withdrawal of WD 2-8-0 90733 following the failure of one of the flues after which examination revealed a further 7 flues were not in the best of health. Accordingly 8 new ones were ordered, although re-instatement to traffic would take some time. Anyone visiting Haworth yard saw a somewhat forlorn 90733 peaking out from the goods shed. However fast forward 2 months and 90733 is seen in Haworth Yard in steam and ready for action. Work completed during those 2 months was the replacement of 8 flues with brand new flues that were made and fitted by Riley and Son, although the removal of the superheater and the flues and the replacement of the superheater was done by KWVR volunteers. The work also included some remedial work on the regulator and the fire grate. Interesting comment. This has been passed on to our loco department. Thank you. Great to see this unique loco repaired so quickly. Back in 1943-45 when 935 were built they were rolling off the production line at the rate of more than one a day! This must have been the most intensive period of loco building in British history. The WD 2-8-0s became the largest class to be built in Britain in the C20th. The last time I saw any was at Wakefield on 1 April 1968, 90611 and 90642, just before they were sent for scrapping. Also there was 42574, probably the last of the Stanier 2-6-4 Tanks. 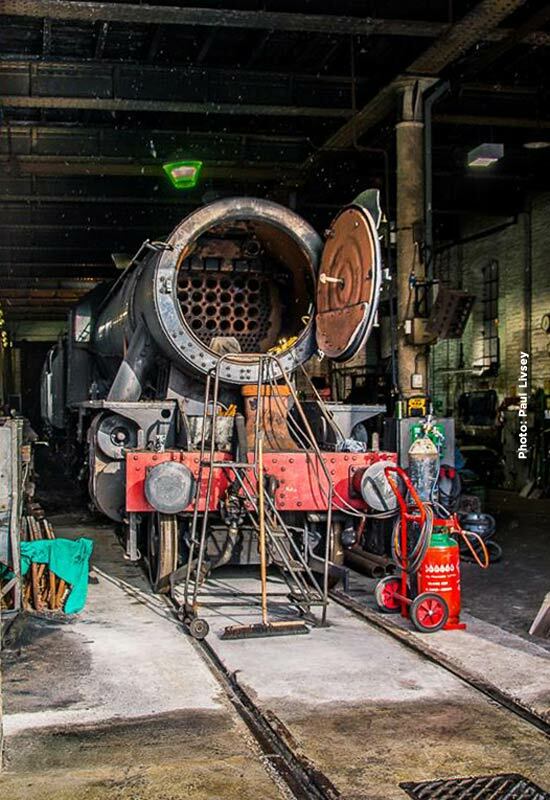 At the KWVR 41241 and 30072 were being prepared for the reopening just a few weeks away! A class of loco that was unloved and dismissed by trainspotters at the time is now a star on the Railway.